A former Microsoft researcher has written a book about the importance of humans in bringing about social change — an element he feels techies tend to forget. He’s visiting the area next month. Kentaro Toyama has a polite reminder for the technology industry: Despite good intentions, your products alone aren’t the solution to all of life’s problems. Toyama, who helped start Microsoft’s research outpost in India, noticed during philanthropic projects there that something was wrong with the way technologists thought about social change. “We’re so enamored with technologies that we have come to a misguided conclusion that it’s the technology that does all of the positive work,” he said in an interview. Seattle connection: 12 years at Microsoft Research, five of them in India. Seattle book tour: Seattle Town Hall, June 22. University Book Store, June 24. Toyama says the information age has driven a movement to favor philanthropic programs that can be applied on a grand scale and target easily measurable, data-driven goals. Somewhere along the way, he says, those trying to put technology to work for social change lost track of the human element. 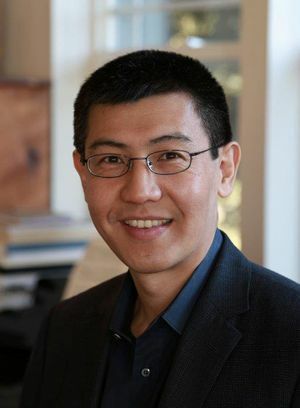 He left Microsoft at the end of 2009 after 12 years with Microsoft Research, taking a variety of jobs in research and philanthropy, currently as a professor at the University of Michigan’s School of Information. 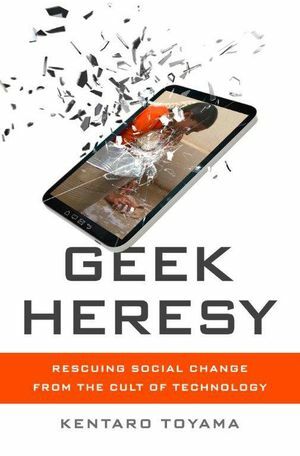 He also started writing, culminating in the release on Tuesday of his book, “Geek Heresy: Rescuing Social Change from the Cult of Technology”. Toyama chronicles the repeated predictions that technology will cure society’s ills, from Thomas Edison’s expectation that the motion picture would revolutionize classroom education to the effort of laptops to jump-start teaching in the developing world. Toyama advocates a nuanced approach, favoring deploying technology to amplify social factors already in place and avoiding cookie-cutter programs. He also promotes decidedly old-school methods in an era of instant gratification. Among them: mentorship and patience. 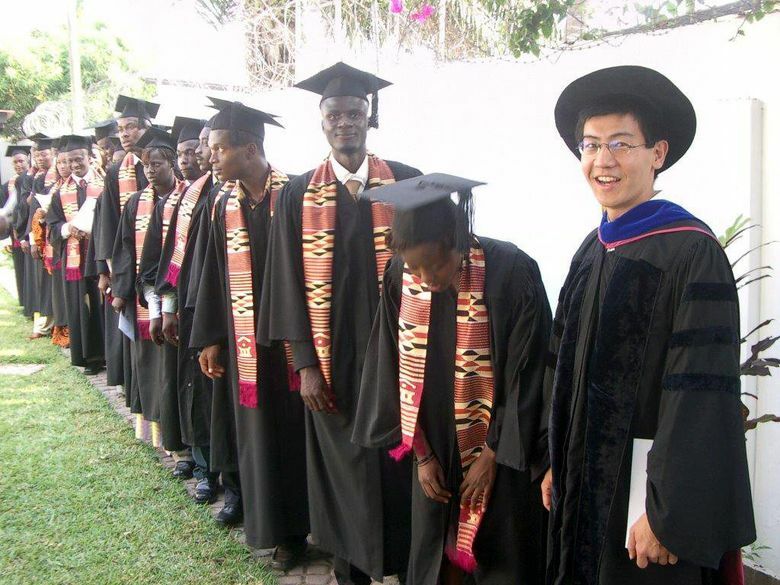 The success stories he cites include the well-known story of Patrick Awuah, who left behind a career at Microsoft to found Ghana’s first liberal-arts college. Toyama taught calculus during the school’s first year in 2002, and returned to see that cohort’s graduation. Q: What about your experience got you thinking about social change and technology? A: I worked on a variety of research projects where we used digital technologies to help poor communities in the developing world. Toward the end of those five years [in India] I began to see there was a consistent pattern in the way our projects went. Any time we worked with a strong partner organization, or a strong government partner, our projects would tend to work out well. If we had partners that were somewhat dysfunctional, then it made no difference how good our technology was. That lesson sank in over the years. I decided that if I was really interested in social impact, technology can help but it really is not the main event. Part of the reason I left [Microsoft] is I felt that at a technology company, it is really hard to express these things. Q: What’s the status quo the book is trying to address? A: Technology in general, but specifically digital technology is this incredible thing that you just sprinkle on various social situations and it makes them better. In the academic and research community, people have long ago discredited this idea and moved on. But in the general public, as well as among people who are technologists and engineers, it is believed that technology makes life better, period. Q: How is this world view a problem, in your eyes? A: The biggest problem is believing that some widespread technology causes democratization or alleviates inequality in and of itself. I subscribe to this theory that technology amplifies underlying human sources. It’s just a tool. Let’s say Bill Gates, Bill Clinton and me each get free access to the Internet for a week. It’s much more likely to give them the ability to accomplish more things with the same technology because of what they have in terms of social networks, existing economic capital, experience. Technology amplifies that gap. I tutored for a while at Lakeside School [in Seattle]. The student-to-teacher ratio is something like an incredibly low 9-1. These students have everything they need, as much technology as you can possibly imagine. In this environment, what parents want most if they feel their kid needs help is adult supervision. It’s not hardware or software, parents understand intuitively that if their kids need help, supervision was what was most important. Q: Has the awareness of these issues grown with recent criticism of the excesses of the current tech boom? A: It’s quite clear that Silicon Valley is an incredible economic success. But it’s not clear that it’s the moral success that we then associate with it. People have started criticizing Silicon Valley’s tendency to forget the poor economic classes within the U.S.
People have now started to complain about the fact that having work email all the time is bad for their personal lives. Or now that kids are constantly online they don’t have any real human contact. There’s been this shift in the last half-decade where students no longer think technology is incredible; they are very aware of the ways that technology is impeding their personal life. Q: What’s the reaction you’ve received from the tech industry? A: I’ve gotten a range of reactions. I’ve certainly gotten hostility, as well as a kind of begrudging acceptance. I believe that almost everybody in the technology industry who thinks of technology as a solution has some understanding, at a deep level, that it’s kind of spin. We understand that when we go around and sell technology that it’s marketing spin. But what’s happened is we’re so comfortable with the spin. Q: What goes into a solution, then? A: It’s more about a basic understanding of human behavior, a combination of sociology and human economics. All the traditional things that previous generations believed were essential to forward progress are still important, even more important. You shouldn’t just turn to me as a computer scientist for an answer. The hardest part, I think, is that the things that are the most worthwhile are the hardest to measure, and which take a long time to cultivate. Formal education is the most obvious example of that. My goal is to hopefully provoke the techno-utopians, and offer either inoculation or ammunition for people who are more skeptical. Q: Your dedicate the book, in part, to Bill Gates and his foundation, but also lay out an argument that can be read as critical of the foundation’s approach. A: First, it’s amazing that someone like Bill Gates turned midcareer on a dime and decided he was going to devote his life to philanthropy. I have deep respect for Bill for attempting what he’s doing. I do think that the foundation as a whole has a tendency to look for technological solutions to poverty. It’s a belief in a scale solution. One of the great challenges for people who control an incredibly large amount of money is they feel like they want to accomplish a great amount for that money. If you have a billion dollars you want to somehow help a billion people. You end up sometimes working on things that have a small impact across a large scale. I think we have not really thought that through as much as we should. Gates has done a good job of learning about it and he’s a credible source in [philanthropy]. But there’s no a priori reason why somebody who becomes a software tycoon should be making decisions about international development.